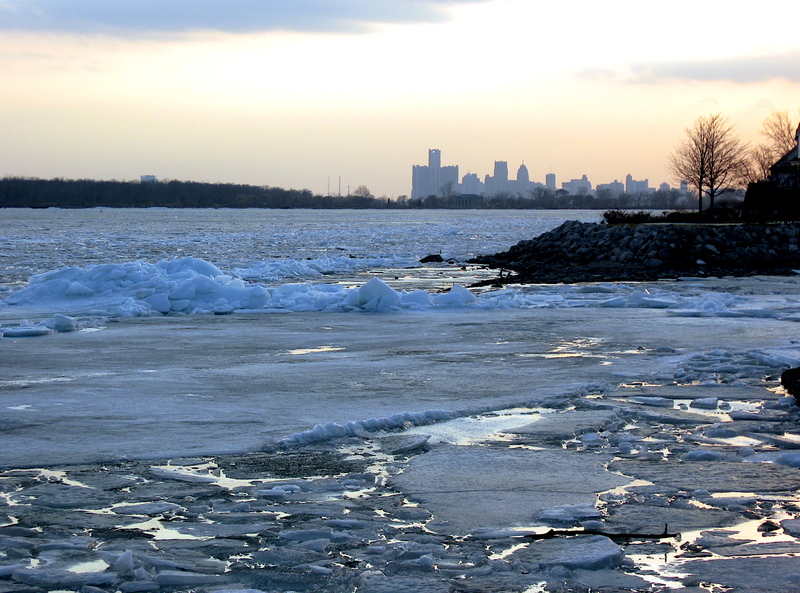 As Detroiter’s know, this spring has been nothing but cool, in the frigid sense of the word. In fact, early Friday evening a bunch of snow flurries turned into almost white out conditions for a couple of minutes. Not a good thing for those that may have headed downtown to ride in the first Critical Mass Bike Ride of the season. However, this spring has not been a total freeze out when it comes to bike riding. We did have a couple of 50 plus degree days a week or so ago, and I definitely took advantage of that heat wave (relatively speaking) and was able to ride 60 or so miles. During those warm days, I managed to get a quick round trip ride from my home to Belle Isle Park, which included a leisurely lap around the island. On that 5-mile loop, I took a scenic turnout on the east end and made my way across the rolling, open prairie land to check out the Livingston Lighthouse and the ice dams that tend to build up on the tip of the island this time of year. While pedaling along the barren, gravel pathway leading out there, I inadvertently got a little bogged down in a deceivingly sizable mud patch. Fortunately, I didn’t fall or have to step off the pedals into that goop while slugging my way through the sticky, syrupy mess of water, mud and Canadian goose droppings (that seemed to be everywhere on the island). The only casualty, as I soon discovered, was my water bottle. It was covered in goose crap, making for an appetizing, refreshing drink. 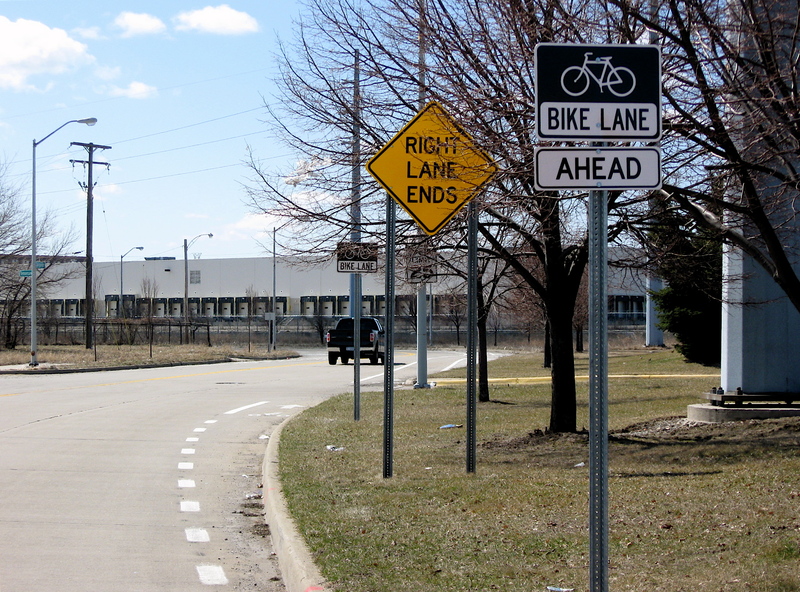 Riding east on Jefferson Avenue out to the east side, I decided to check out the latest bike lane addition to the Conner Creek Greenway that runs along Clairpointe Street from Jefferson, south to the Detroit River. 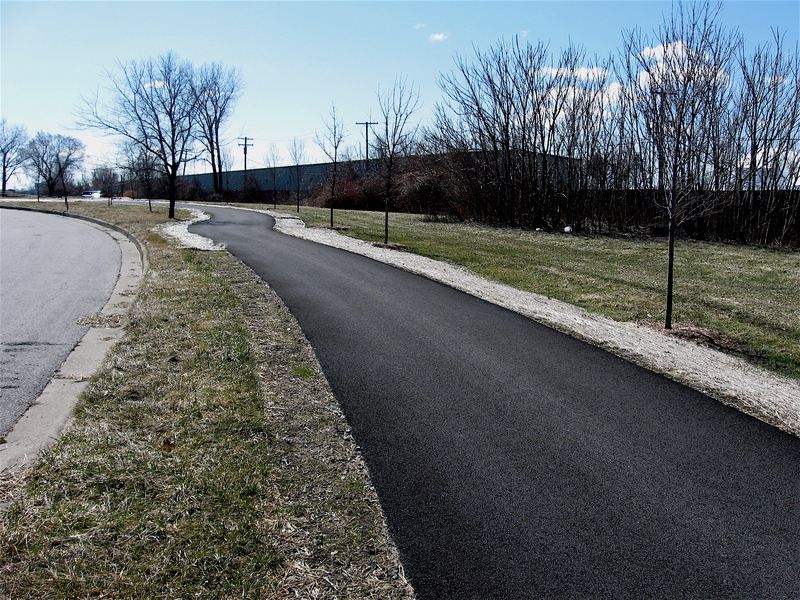 This is a recent addition to the larger, multi-mile pedestrian and bike friendly path that will eventually wind its way along the original Conner Creek footprint throughout Detroit’s east side. The new bike lanes are well-marked, smooth, and snake their way for a mile or so along the winding street, lined with newly built homes, to Maheras-Gentry Park along the river front. Once there, the bike lanes changed to asphalt and it sloped to the river’s edge where it ends. I wanted to check out the view of Lake St. Clair, so I left the park, pedaled through the streets of Detroit’s Creekside Community to Ford-Brush Park, at the foot of Lenox Street. Approaching the park, I could see ice jams in the river and I felt the air temperature drop by at least ten degrees. 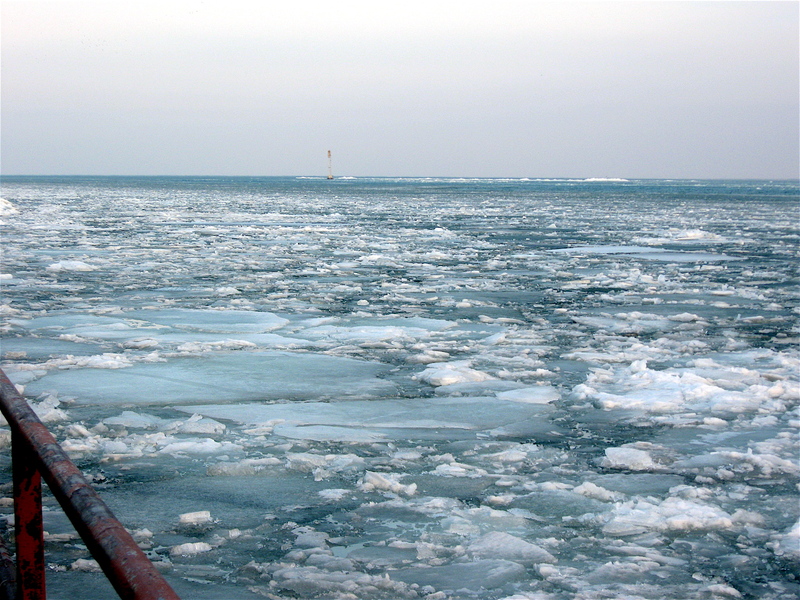 The ice, coupled with a steady breeze from the east, sure made a difference in the temperature. 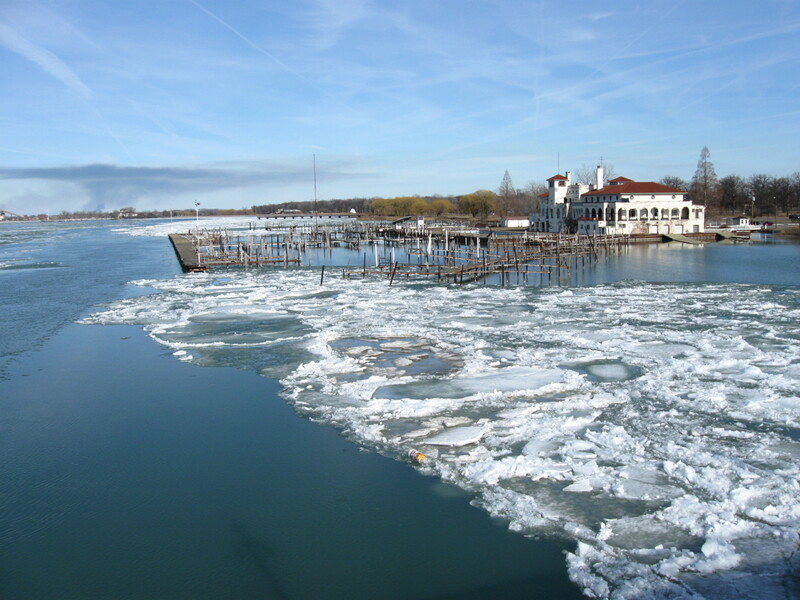 Riding east along the park’s walkway at the river’s edge, toward the canals that run into the Detroit River, I could hear the blue colored chunks of ice moving and sliding into each other. It was a calm, soothing rhythmic sound. 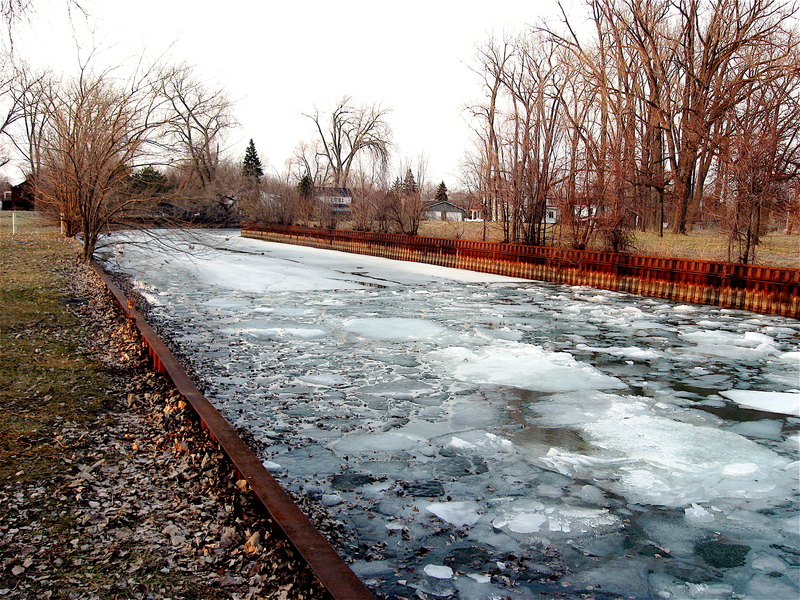 Although it is slowly warming up, the canals were still covered with layers of ice. 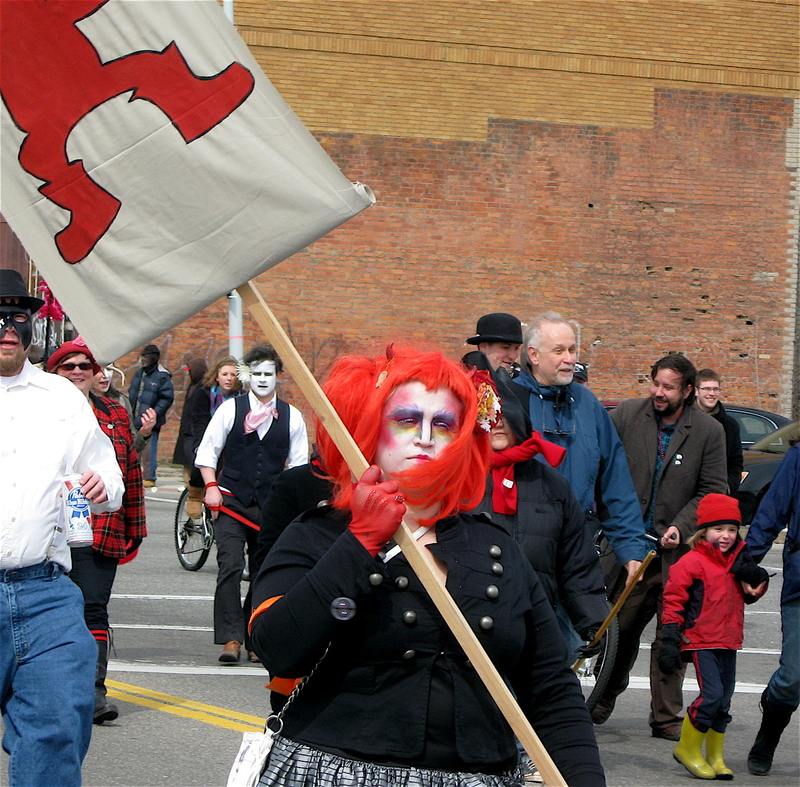 The Nain Rouge, an evil little spirit that has plagued the city of Detroit and its people for over 300-years, has been banished for another year. 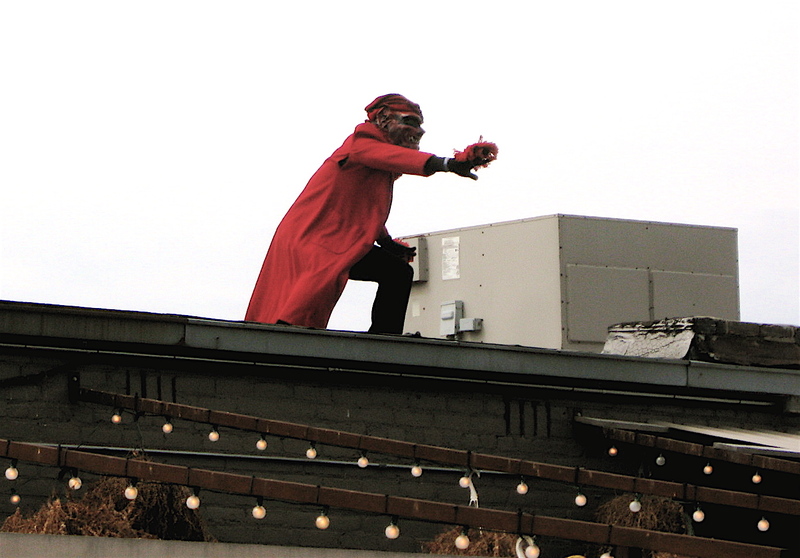 Hundreds, perhaps thousands of colorful costumed, mask wearing men, women and children, converged at the 3rd Street Saloon this past Sunday to rid the city of this menacing little red devil. They were joined by ribbon wearing dogs sporting bright sweaters, bicyclists pulling handmade, decorated chariots and curious bystanders from the neighborhood. 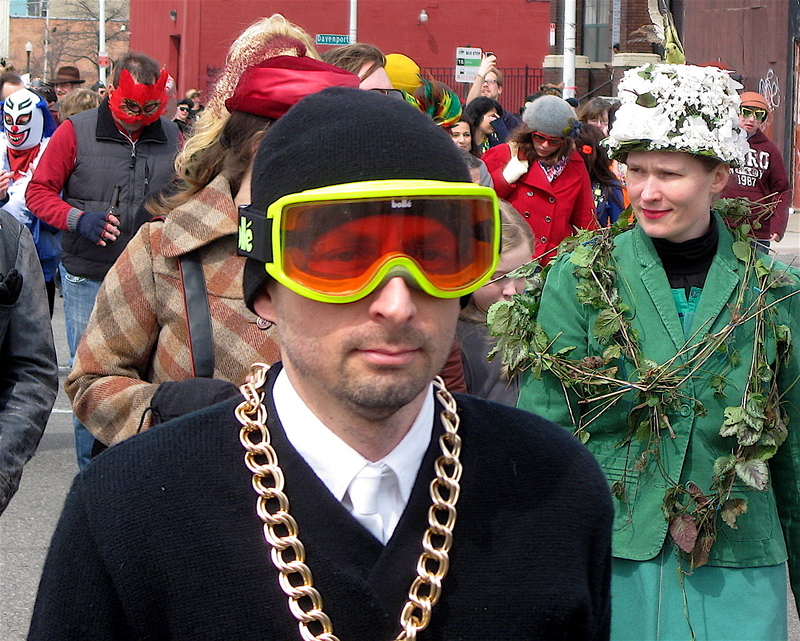 After opening ceremonies at the Saloon (where the devil himself was spotted) the Marche de Nain Rouge headed into the Cass Corridor on it’s way to Cass Park for food, drink and revelry. 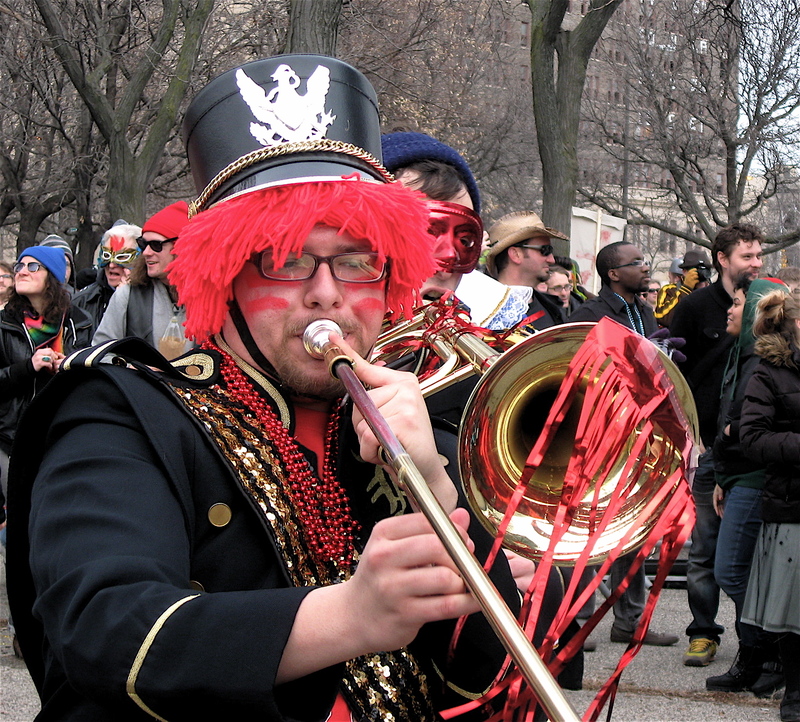 The lively, Mardi Gras type parade, was led by the 20 plus-piece Detroit Party Marching Band who played tunes inspired by the fervor and spirit of Brazil’s Carnival Parades and the Crescent City’s finest marching bands. 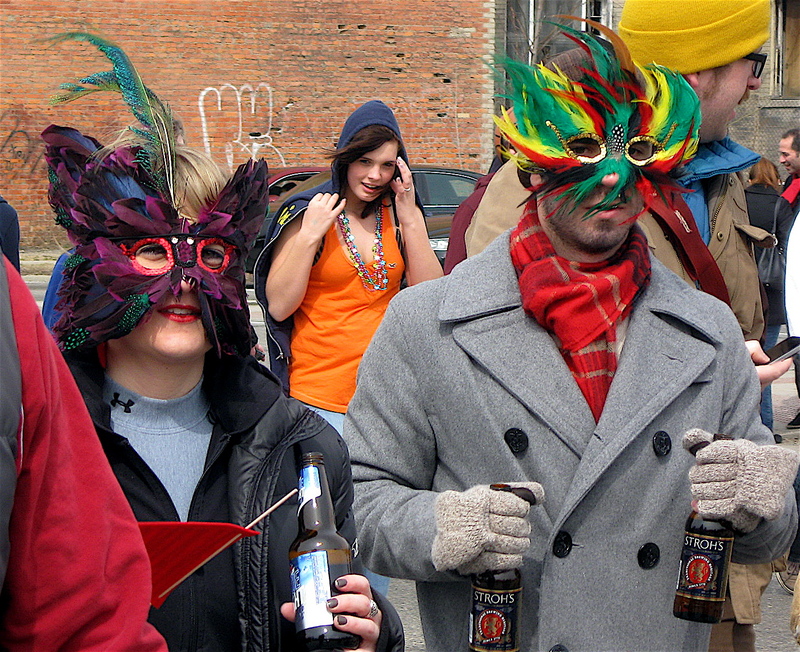 The parade participants, in true Mardi Gras form, wore wild-looking masks and costumes to disguise themselves from the Nain, so when the little creature returns next year, he won’t hunt them down and cause mischief and upheaval in their lives. According to legend, the little red-faced, dwarf sized imp, crossed paths with Detroit’s founder Antoine Cadillac and his wife while they were out walking one evening. Supposedly, the evil little red dwarf of Detroit shrieked wildly at Cadillac and his wife when he came upon them. Cadillac gruffly yelled, “Get out of my way, you red imp!” while striking him with his walking cane. The monster vanished into the darkness with a wicked, scornful laugh. Since then, the red devil has bestowed ill tidings and grief upon the residents of Detroit. 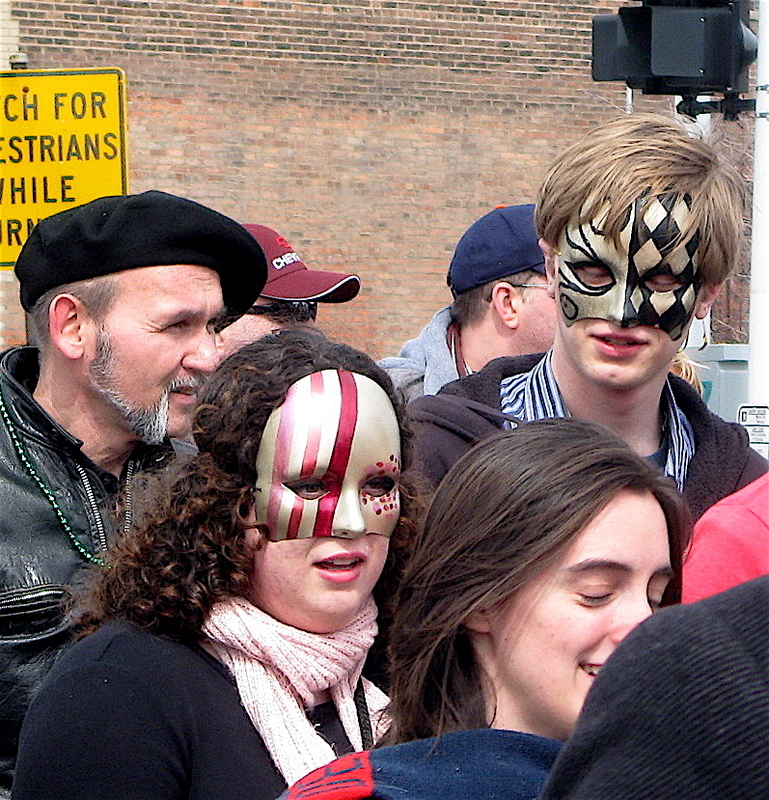 La Marche du Nain Rouge, held on the first Sunday of spring, banishes the Detroit devil from the city until his ghastly return on the first day of winter. Ridding the city of this creepy character transforms Detroiter’s fears and doubts into hope and happiness for a new life in the coming spring. 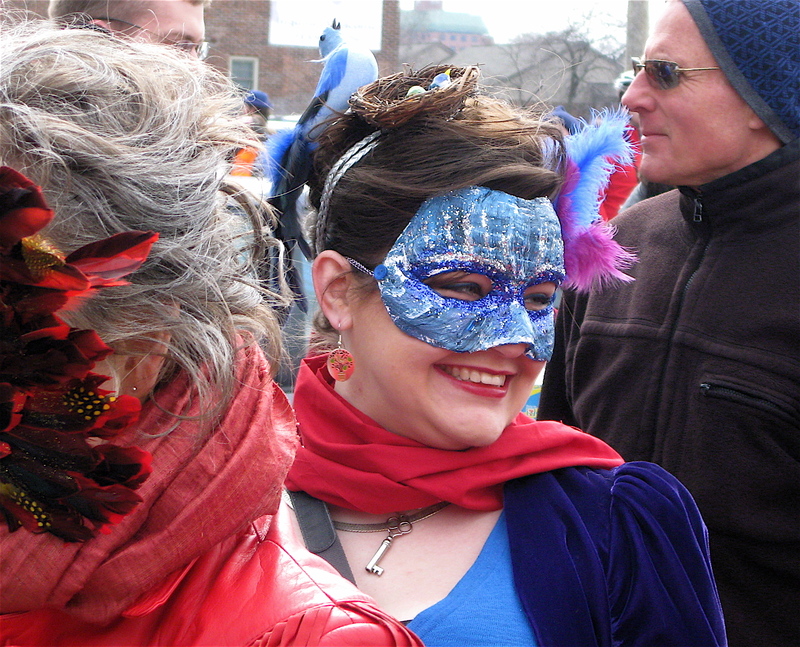 Judging by the costumes I saw while bicycling along the parade route this past Sunday, the revelers have nothing to worry about should that devil of a dwarf return next year. Bicycling through the neighborhood streets of Detroit is always an adventure. There is the usual slow-moving, loud cars spewing eye-burning black smoke everywhere. I’ve come across pheasants scooting across the street going from one field to another. Bike destroying open manholes and storm drains are not that uncommon, nor is the occasional stray dog (or dogs) that prance along looking off into the distance at who knows what. However, there was one sight I came across late last year that made me stop and scratch my head in wonder. Clopping along northbound McDougall Street near Farnsworth Street was a horse and buggy! I couldn’t believe it. 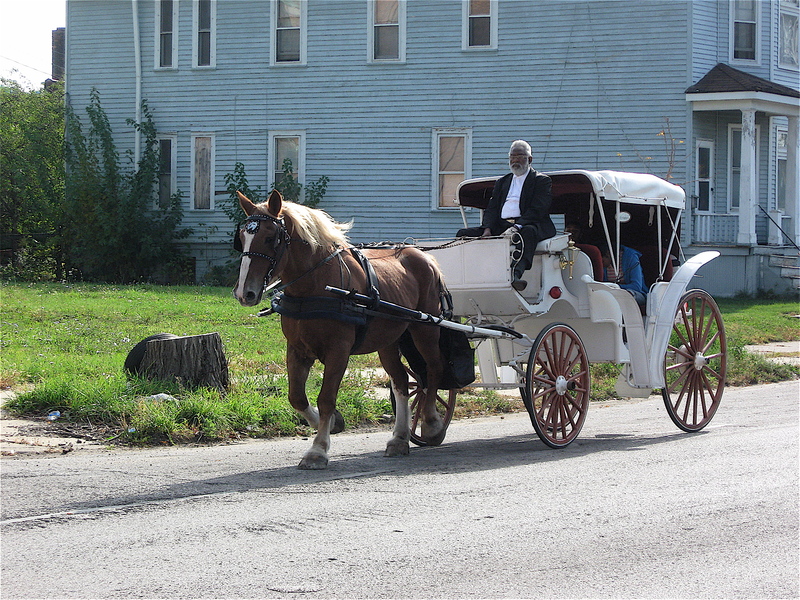 Here I was, out for an early morning bike ride; cutting through a rough east side neighborhood not too far from the infamous industrial ruin of the Packard plant, and suddenly this horse and buggy appears. Knowing there’s a cemetery a couple of blocks over, my first thought was, “Ah, there must be a funeral today, and the buggy was leading the procession.” That wasn’t the case. The only other vehicle in sight was a pick-up truck with a horse trailer attached. It was following a short distance behind. Plus, sitting in the buggy were two young girls who appeared to be touring the neighborhood. “Why this neighborhood?” I asked myself. We’re not talking the highly visible tourist areas of Detroit, such as the Campus Martius Park vicinity, the area surrounding The Detroit Institute of Arts or Greektown, where one would expect to see a horse and buggy. 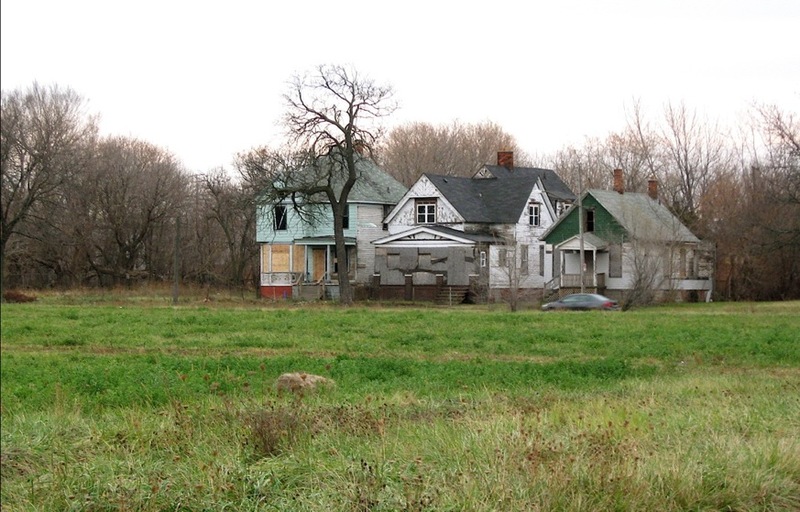 We’re talking the fields of Detroit with few houses or businesses anywhere. This was the first time I’ve seen this horse and buggy outfit, and judging by the folks that wandered out on their porches and sidewalks to watch it go by, it may have been the first time it passed through that downtrodden neighborhood. Since initially spotting this set-up on McDougall, I have seen it couple of other times in the Mack Avenue, Mt. Elliot and Gratiot Avenue area on the east side. I wonder what the story is on this mysterious horse and buggy. I can tell you this: I haven’t been getting this incredible work out on the streets of Detroit! I’ve been riding in a place where the lights are low, and hard rockin’ music fills the air. It’s a place where the high-energy tunes are played loud, as a motivator to get those legs moving and heart pumping… songs like “Sweet Child O’Mine”, from Guns and Roses, Aretha Franklin and Annie Lennox doing “Sisters Are Doin’ It For Themselves”, or The Doors classic, “Break on Through”. Mixed in are songs from U2, Aerosmith, Rolling Stones, and other various bands and singers. This is all new to me. I’m used to the urban sounds of dogs barking, car horns blowing, music blaring from ice cream trucks, sirens and other sounds of the city while riding! The place I’m talking about has an instructor with a headset, sitting atop a lead bike, calling out commands to the riders…commands like, “stand, lean forward and pedal harder, harder! Ready lean left! Hold it, hold it, one, two, three right!” and other endless instructions yelled out without taking a breath. Meanwhile, the 18 or so riders (including myself) are struggling just to breathe and keep up while sweat drips down our faces, arms and backs! Think pedaling across the Belle Isle Bridge in high gear on a hot, steamy August day! This place has a room full of stationary bikes that swivel sideways, left to right. Riding them feels pretty darn close to actually cycling on the streets. The banking is there and so is the left, right leaning motion. Simulated steep hills are climbed and steady sprints designed for endurance are blended in. 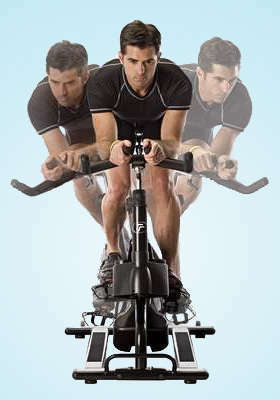 Although demanding, it’s great training and it builds endurance for the upcoming cycling season. It’s a perfect workout for getting in shape and preparing a rider, like me, to dodge broken glass, bone jarring pot holes and other urban road hazards such as out running stray dogs that may have an interest in tasting my leg. Real Ryder Revolution is the place. They have the stationary bikes that simulate the authentic world of bicycling. You can check them out by clicking here. Set in the late 1960’s, the story is narrated through the eyes of Leopold Bloom King, a nerdy paperboy who serves the upper-class Charleston neighborhood South of Broad. A troubled teen, he’s been traumatized by his older brother’s suicide. A series of unlikely neighborhood events leads him to a circle of lifelong friends from diverse cultural and economic backgrounds. This book, divided into five parts, is their story. Not only is it a story of enduring friendship over their lifetime, it’s a story of cultural differences and how they shape lasting friendships. These differences include money, race and class. Religion also plays a major role in the characters lives, as does mental illness. All of these are familiar topics in many of Pat Conroy’s character themed books. Early on, Conroy introduces us to Leo, his new dramatic neighbors Sheba and Trevor Poe and their alcoholic mother. Two orphans – Niles and Starla – are written into the story when Leo finds them chained to chairs to keep them from escaping the neighborhood orphanage where they have recently arrived. Later, Leo attends a luncheon with his mother at the stuffy Charleston Yacht Club, and there he meets Chad, Molly, and Fraser; three affluent teens. Lastly, he meets the new high school football coach, the first black coach ever for that school, and eventually his son (and his orphan girlfriend Betty), who will co-captain the team with Leo. This sets the stage that follows the group of lifetime friends through several decades of their lives. Using clear, crisp descriptive writing, Conroy realistically captures this diverse group’s lifestyle, background and many of the challenges they face. 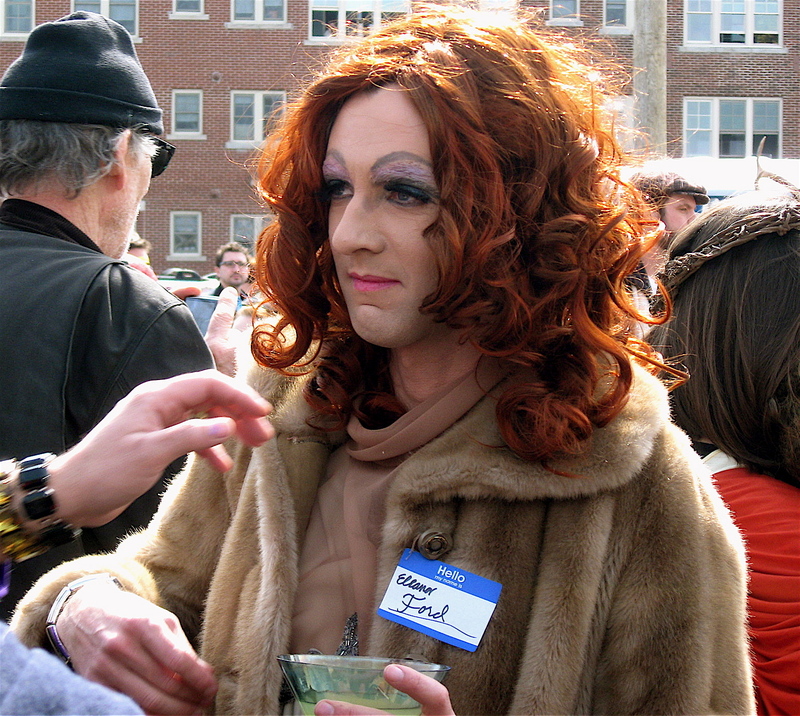 The novel shifts between the past and present and touches on a variety of issues the friends are exposed to, such as the AIDS crisis, suicide and murder. Even hurricane Hugo plays a major role in the story. Top notch story telling seems to be one of Conroy’s strengths, and it is evident throughout the book. The dialog between the friends is written as if the author was there, sitting at a table listening to them. While reading the character descriptions and quirky scenes, there were times I found myself laughing out loud. Other times I felt sad and moved by the heartbreak drama found throughout the book. I must admit, with so much going on, parts of the story seemed a bit melodramatic and contrived. 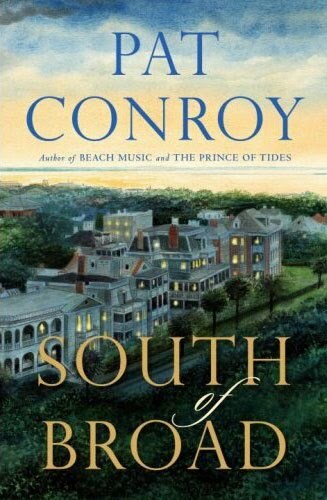 What I enjoyed most about South of Broad was Conroy’s undemanding writing style that flowed seamlessly through the book keeping me engaged. I also liked his keen insight into the lives of teenagers and the day-to-day struggles they dealt with. I recommend this well written book. I can’t believe it has been one year since I launched this weekly blog. It seems like I just rolled it out. Over the past year I’ve pedaled over 2,000 miles through some of Detroit’s finest and roughest neighborhoods. Detroit, viewed from two wheels, is like no other city. It’s a fascinating, quirky place full of remarkable people. 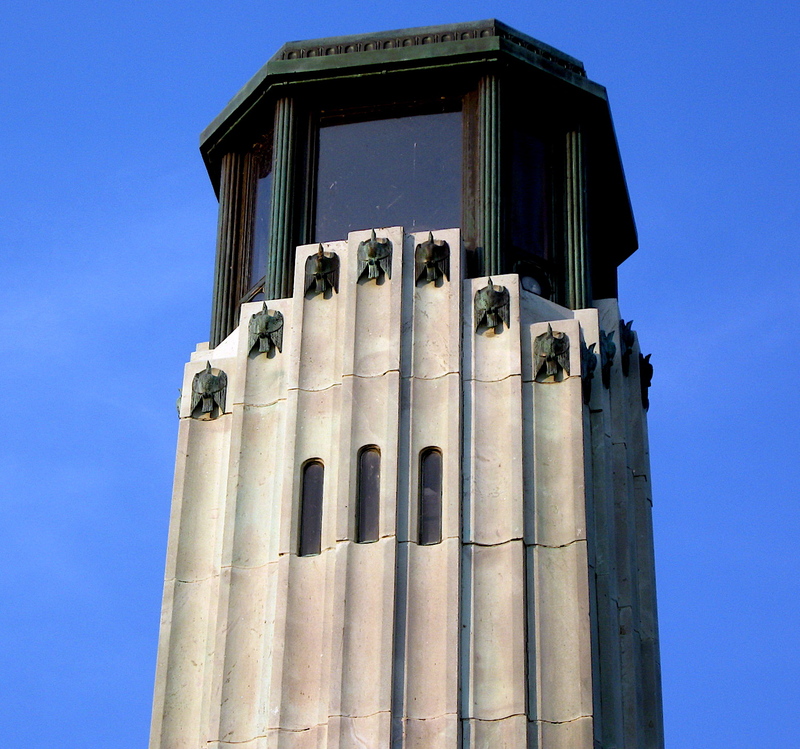 The goal of this blog was to present a unique perspective on Detroit. Based on the many positive comments I’ve received, I believe my loyal readers find it interesting and informative. Speaking of readers, I’m totally shocked at the reach of this blog. In addition to good old Detroit and the surrounding area, I have subscribers in Seattle, Los Angeles, Denver, Atlanta, Charleston and Washington DC, just to name a few. I also have regular readers in Mexico, Berlin, and Toronto! Who would have thought? Thank you everyone! 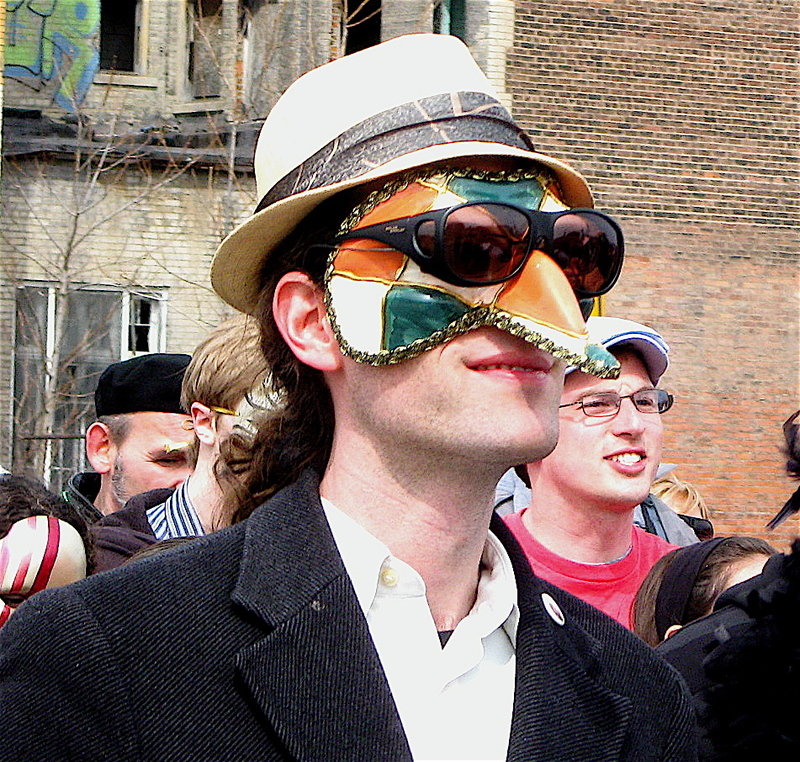 Someone commented that my passion for Detroit really shows in the writings of this blog. All I can say to that is: I love this city. It’s a one-of-a kind place. In this entry, the 52nd, I thought it would be neat to post the top seven entries based on visits. Why seven? I don’t know. I like the number. To check out any of them, click on the bold title above the picture and take a look. This entry focused on my travels from Wayne State University up Second Avenue through the Historic Boston-Edison neighborhood to Highland Park. 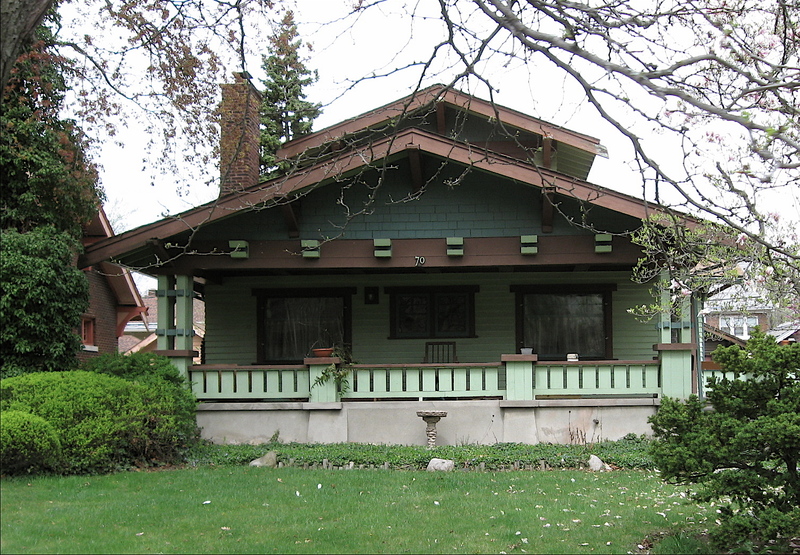 I gave a brief history of that notable city and posted a number of photos showing some of the Arts and Crafts homes found there. This is a story about Creekside, a historic neighborhood on Detroit’s east side with numerous riverside parks. 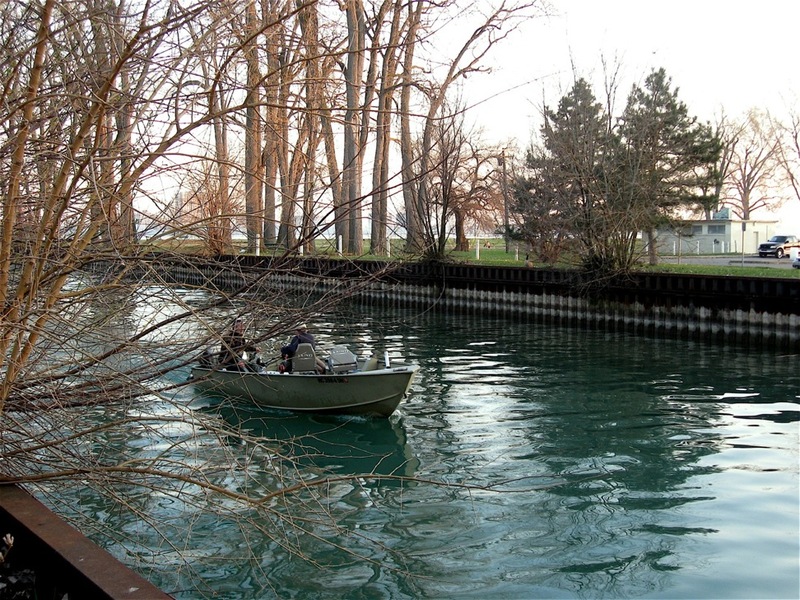 Throughout the southern section of that neighborhood are a series of canals, once used by rumrunners as they smuggled liquor into the U.S. from Canada. 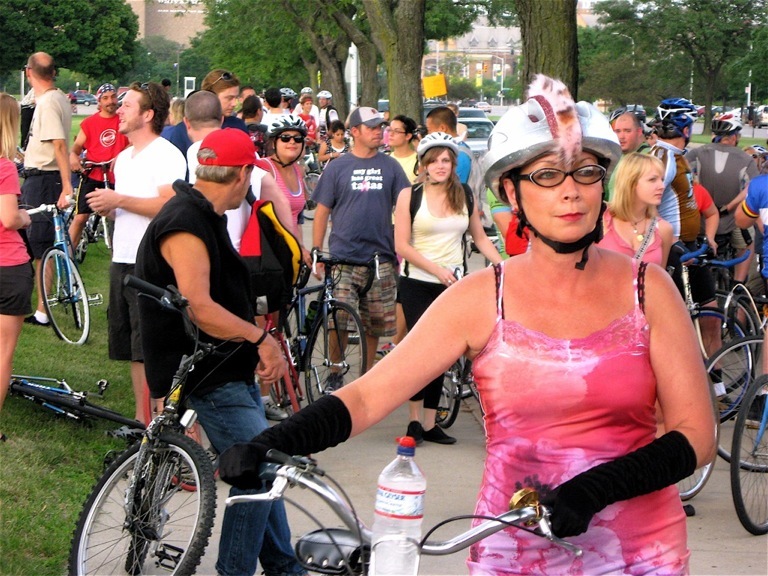 This was my first exposure to Detroit’s monthly Critical Mass bicycle ride, a worldwide event held on the last Friday of the month in over 300 cities. In this piece, I described the riders, route and some of the sights along the way. There were tractors everywhere on this ride! 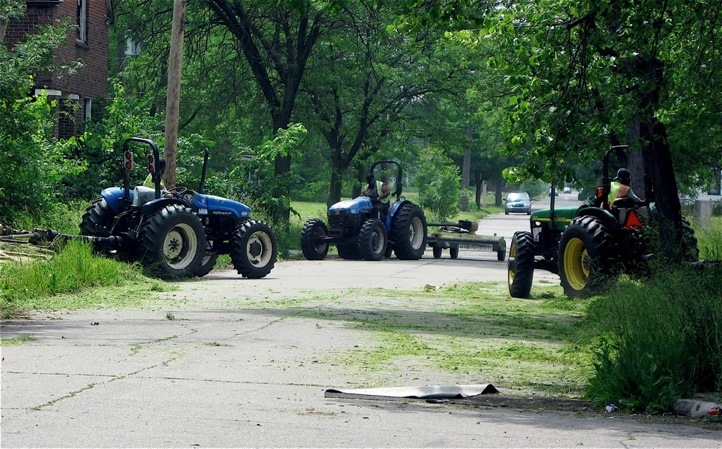 I thought I was in Nebraska or a small farming community in Michigan’s thumb region. In reality, I was in an east side neighborhood of overgrown fields not too far from downtown. The pictures tell it all. 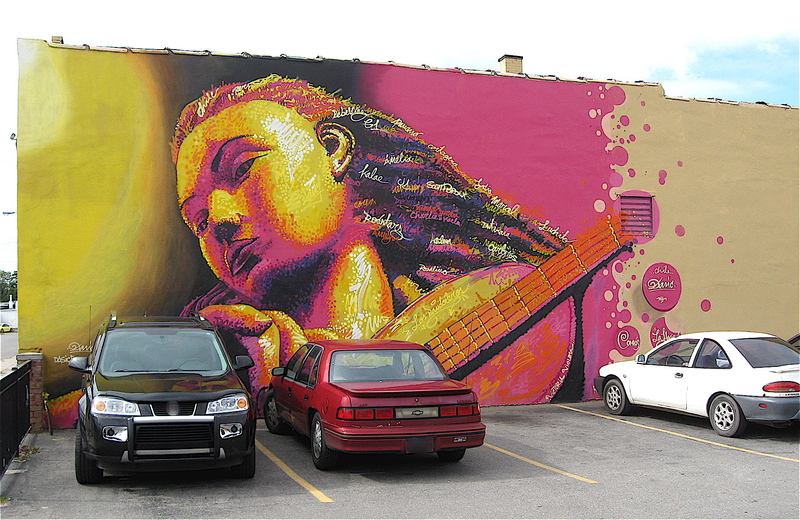 Southwest Detroit is one of the most vibrant parts of the city. That section of the city is full of lively restaurants and busy markets catering to the Hispanic population. It’s also home to some of the most incredible wall art to be found anywhere. I wrote a five piece series on graffiti art in Detroit and this is the last entry of that series. In this article, I explained what a masterpiece is, in the world of graffiti and I note where some of these beauties can be found. The accompanying photos show the complexity and variety of this art form. This is one of my first entries, and in it I described how sparsely populated many areas of Detroit are. I never thought I’d see block after block of nothing but fields of overgrown weeds where only a handful of homes stand. Thanks once again for reading my blog! I truly appreciate your support and encouragement. Who knows where 2011’s travels will take me, stay tuned!